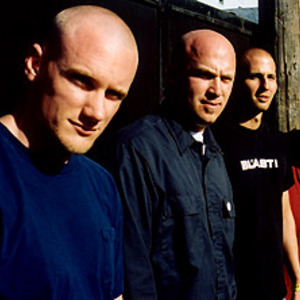 Formed early in 2002 by guitarist Jason Hampton who's been in such Orange County defining acts as The Third Degree, Blackspot, Outspoken and The Suppression Swing and drummer PT Pugh from The Suppression Swing, The Rats were looking for a singer to help take their music to more ears, enter Mike Vallely. Those first three tracks went on to be recorded and produced by Fletcher from Pennywise in February 2001 and were included as a limited edition CD insert "Rats First 3 Songs" in Mike's award winning and critically acclaimed skateboarding film, "DRIVE" released in May 2002. Right around that same time The Rats started playing live with shows in Southern California and Vancouver, Canada before going into the studio again and recording five tracks for their self-titled CDep and 7" vinyl release on Indecision Records. In the fall of 2002 just before their debut CD was officially released The Rats joined The Deviates on the Home Invasion Tour and played shows in Northern, Central and Southern California. That tour was an important turning point for the band. After the Home Invasion Tour bassist Reid Black, who formally played in the metal laced 1134 joined The Rats who had been through two bass players before him (Brian and original Bass player Gish). With their chemistry finally tight and their own original and distinct sound and style emerging the band locked themselves in their practice room and wrote several new songs before joining CKY for a series of sold out Southern and Northern California dates. Then it was back into the studio to record songs for the soundtrack of Mike's new video, "Greatest Hits" and a song. "Dehumanized" for a Sessions Records compilation out now entitled "sNOIsES, The Skateboarder Sessions." Throughout 2003 The Rats were back out on the road playing more sold out dates in Southern California as well as in Arizona, New Mexico and Vegas with bands like CKY, Death By Stereo, Ten Foot Pole, Rufio and Millencolin. From there they went on to support the legendary Greg Ginn as he gigged all over Southern California and to do a mini-tour of Sweden playing with bands like Randy, Thrice and Rancid. In September they opened for the legendary Black Flag reunion show and toured southern and central California with Greg Ginn and 1208. Songs by Mike V & The Rats can be heard in the video games Tony Hawk's Underground ("The Days"), Tony Hawk's Underground 2 ("Never Give Up"), and Tony Hawk's American Wasteland ("Vendetta").